Q: How does The Skinny Way work? 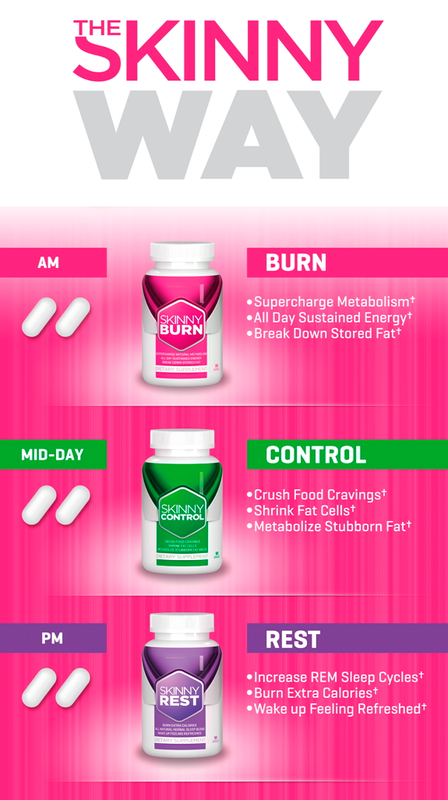 A: The Skinny Way Success System is designed around the 3 Core Principles of Weight Loss & Weight Management. Q: What are the 3 Core Principles? A: 1) Increasing BMR (Resting Metabolism) so that the body BURNS additional calories daily. 2) Reducing cravings in order to CONTROL appetite resulting in less calories consumed. 3) Improving REM sleep allowing the body to REST & RECOVER while burning more calories. A: The Skinny Way utilizes precise ratios of scientifically backed ingredients; Garcinia Cambogia (50% HCA), Relora®, Satiereal® Saffron & Green Coffee Bean extract to help you boost your weight loss success! 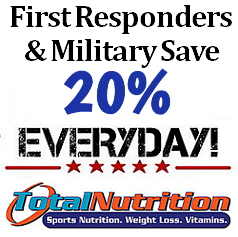 Stop by Total Nutrition for a free consultation and learn more about Skinny Burn, Skinny Control, Skinny Rest and the other amazing weight loss supplements being used by our customers.